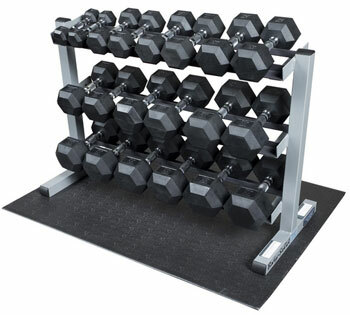 One of the best ways to build a muscular physique is to use free weights like barbell or even better dumbbells. 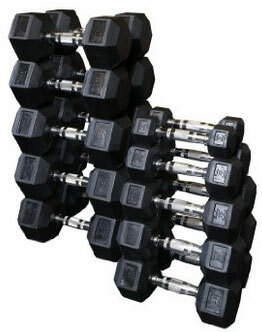 Dumbbells allow you a free range of motion as your movement is not locked as compared to a barbell. Dumbbells are also very convenient as they don't take much space and with just two dumbbells, you can perform a vast array of exercises for a full body workout. 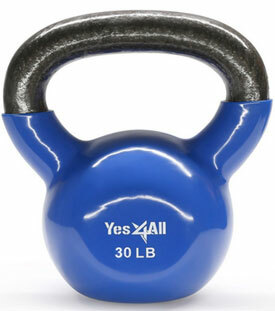 Nowadays apart from dumbbells, many people also use kettlebell weights. 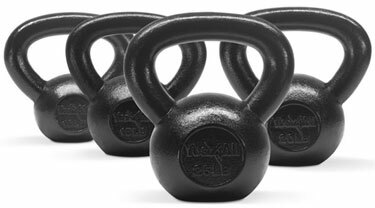 Similar to dumbbells for their free range of motion, kettlebells also offer a variety of exercises you can perform. You don't even need to go to the gym if you just own two kettlebell weights at home. 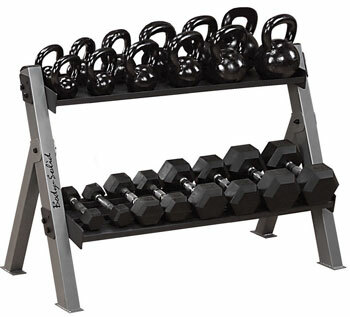 Of course if your focus is just on health and fitness, you might do with just two moderate weight kettlebells for a multitude of exercises but if you want to do progressive overload and bust any training plateau, you should own several sets of kettlebell weights. 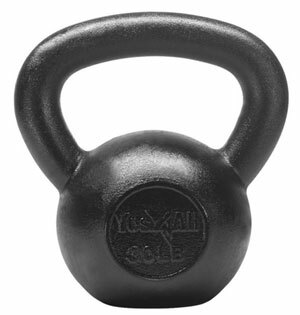 First of all, the material used for Yes4all kettlebells is solid cast iron. These are pretty sturdy weights which won't break at all. Better invest in quality weights you can use for a lifetime. With the durable black powder coating, this ensures the cast iron does not rust or chip. Provides a variety of exercises you can perform at the comfort of your home without breaking the bank with ongoing expensive gym fees. Enjoy your squats, deadlifts, rows, military presses, biceps curls, hammer curls, overhead extensions and more. 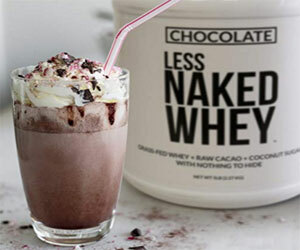 Build the physique of your dreams whether you want to build muscle, shed pounds, get toned or simply keep fit. In addition, kettlebells build strength, stability, power and improve movement, agility and speed. One of the great things about these kettlebells is the handle width. They provide enough room for your hands and fingers to fit in easily. This is important as you want to be as comfortable as possible when exercising. As a result, you get a comfortable, safe and non slip grip. The better grip is also enhanced with the black powder-coated finish. 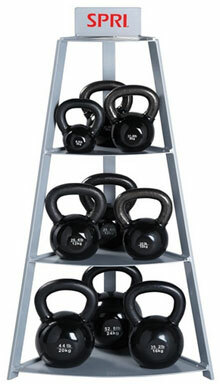 These kettlebells are solid and reliable yet affordable and get the job done. That's what you need. No fancy stuff. 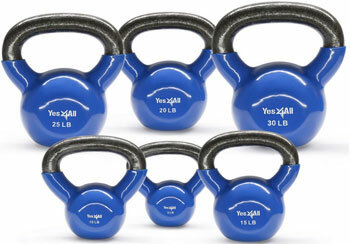 These kettlebells come in 5, 10, 15, 20, 25, 30, 35, 40, 45, 50, 55, 60, 65, 70, 75, 80 lbs weights. 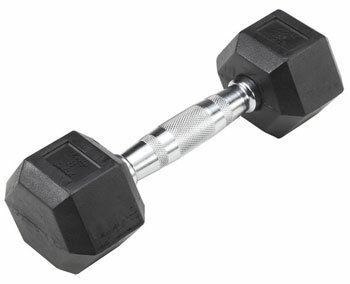 Body Solid Rubber Coated Hex Dumbbell 8 lb.